I am exhibiting my landscape photographs in West LA this month. 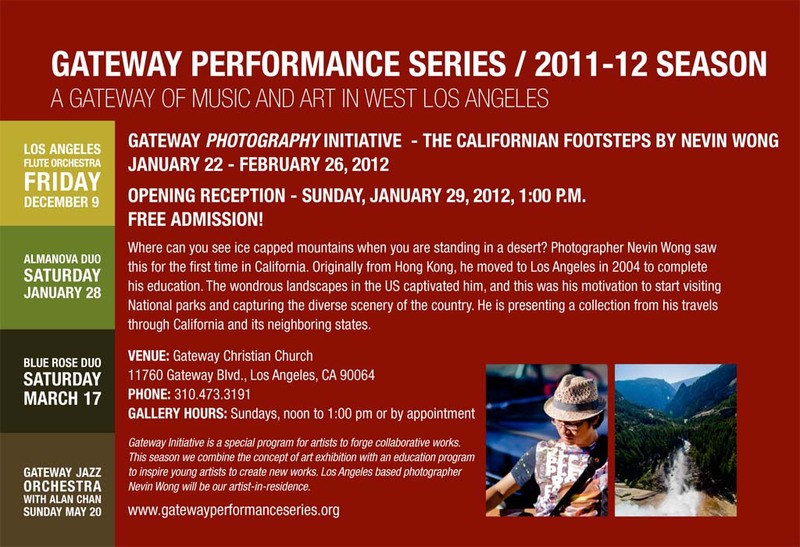 In the exhibit I am presenting 25 images taken in the past few years of national parks in California and nearby states. Reception is on Sunday, January 29th, 2012. Free Admission.